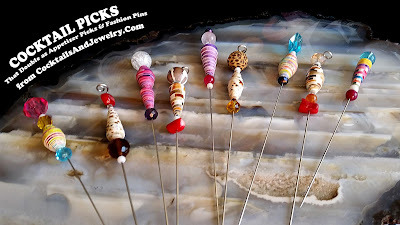 I have been promising my friends and followers for YEARS I was going to start a line of handmade cocktail picks. 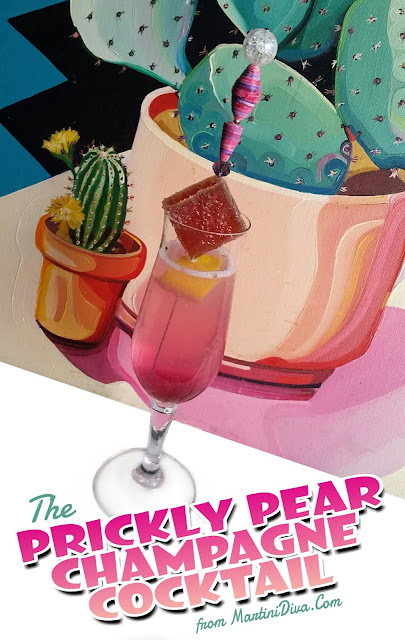 I have made them for many years for myself and my cocktails and, when people kept asking me if I sold them or if I would make some for them, I threatened to start my own line of what I referred to as my "cocktail jewelry". Yesterday I finally got the first ones up for sale. I thought that deserved a little celebration so I popped open a bottle of bubbly. Of course there's one of them in my drink! DIRECTIONS Chill a Champagne flute in the freezer for a minimum of half an hour. Pop the cork on the bubbly. 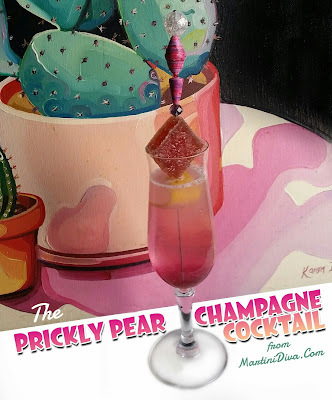 Add the Prickly Pear Syrup to the glass. Gently float the Champagne on top. Add 2 Dashes of the bitters. Garnish and serve. Guests may stir in the syrup as they desire. 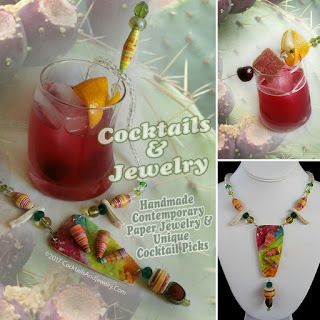 Now settle in with your cocktail and go buy some of my fun Jewelry for Cocktails!